Leading contemporary dance company, the Australian Dance Theatre is on the search for talented male & female dancers to join the 2017 intake of the ADT Youth Ensemble. 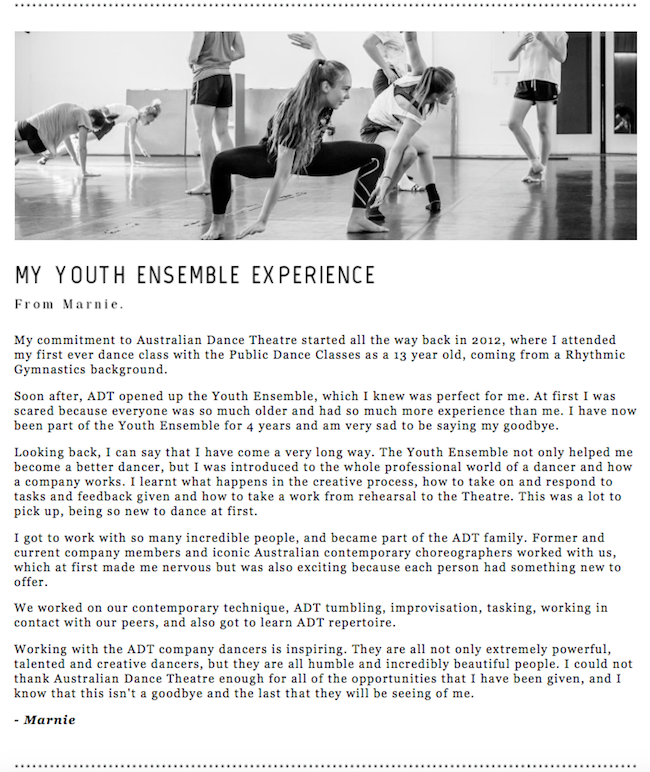 Trained by former and current dancers as well as some of Australia’s leading choreographers, youth ensemble dancers are able to develop their technique and learn about the inner workings of a professional company. To audition, applicants must: Be aged between 14-20 years old; perform at an intermediate/advanced level in contemporary dance or ballet; be athletic, resilient, quick thinking, and passionate about dance & movement. To audition: Please contact Madison Thomas on 08-8373 7733 or email adt@adt.org.au to register and receive an application form. Successful applicants will be required to participate in rehearsals on Wednesdays (4.30 – 7.00pm), commencing Wednesday 1st February at Australian Dance Theatre’s studios. 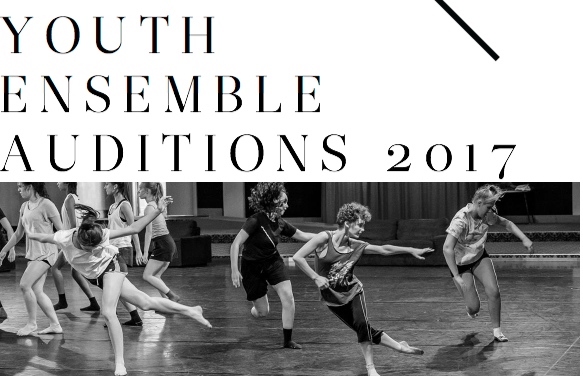 The cost of participation in the Youth Ensemble is $230 per term (class fees) plus additional costs (tba) for travel & costumes for performances.